How to Draw the American Flag Using Inkscape | GoInkscape! 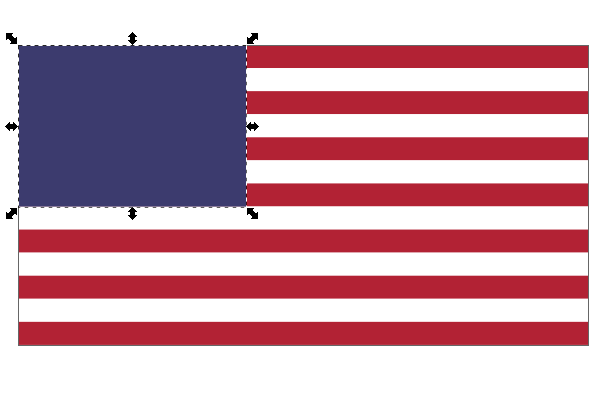 The United States flag has a design that’s taken very seriously. According to its Wikipedia page, everything down to the star diameter and stripe width are contained in an Executive Order. It sounds pretty intense, but it also sounds like a lot of fun to recreate! 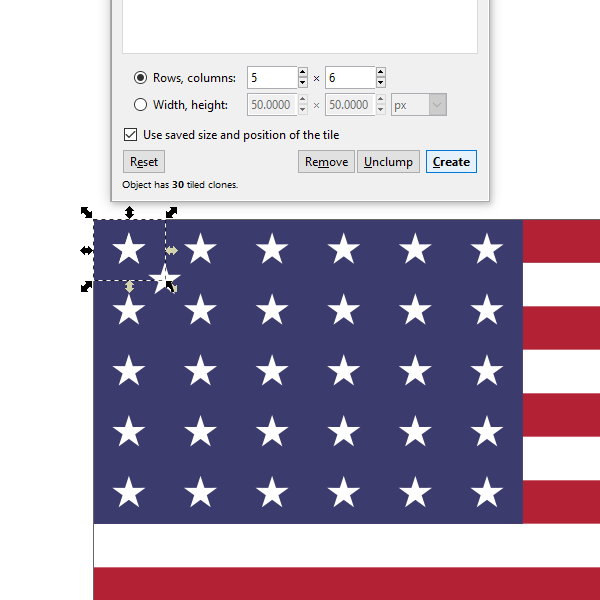 Let’s draw an official American flag in this Inkscape tutorial. The specifications say that the height (hoist) is a 1.0, while the width (fly) is a 1.9. 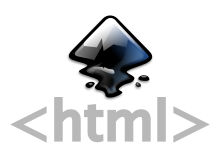 That means we’ll go to File > Document Properties and set the Width to 19000 px and Height to 10000 px. 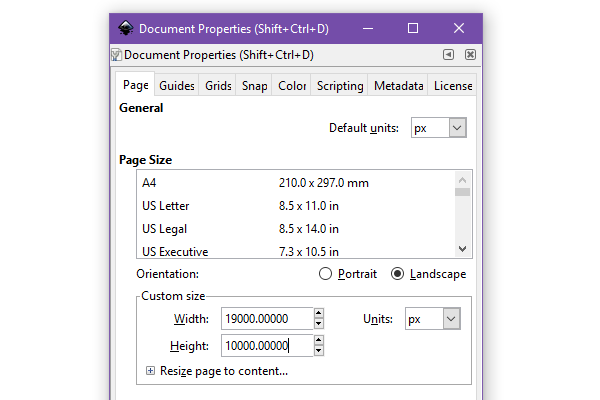 Why such a ridiculously large page size you ask? 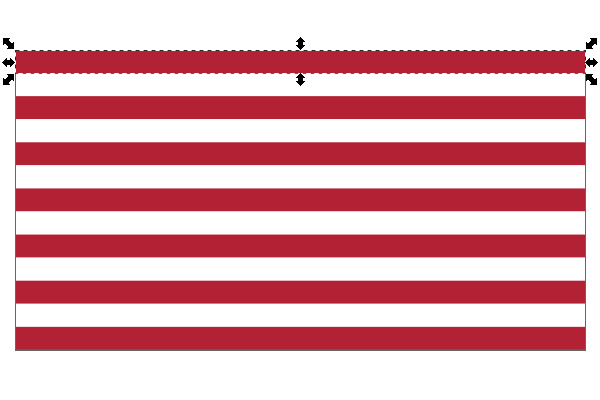 A lot of the American flag dimensions rely heavily on weird fractions, which doesn’t fly with pixels unless you’re ready to do some serious conversions. Starting with a gigantic canvas will reduce our chances of coming across decimalized pixels. Each stripe will be 1/13th of the flag height, so go ahead and use the Rectangle Tool to draw the first stripe 769 px tall and 19000 px wide. Make sure it’s perfectly to the top using Snapping, Align and Distribute, or enter X: 0 px and Y: 9231 px. 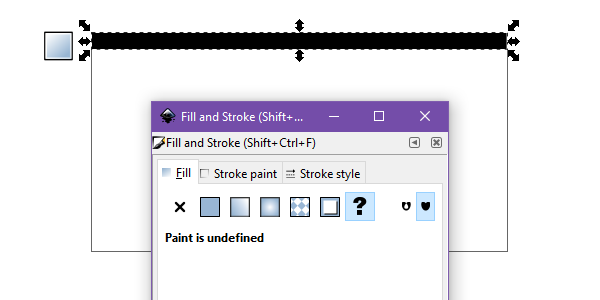 Go to Object > Fill and Stroke to set the Fill color to the question mark, which means Undefined. I’ll show you why next. We’re going to do a fun trick here. 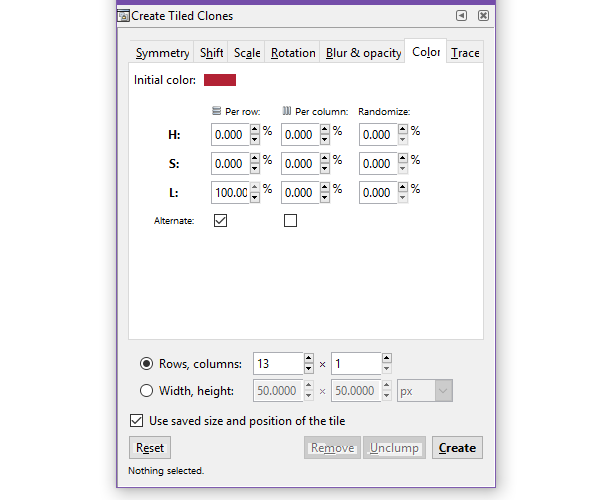 Head up to Edit > Clone > Create Tiled Clones which will bring up a new window. Select the Color tab and click on Initial color. This will bring up another small window where you get to pick a color. In the RGBA box, enter b22234ff, which is the color code for the official Old Glory Red. The other setting we need to set is Per row: L: 100% and check Alternate. Then we need to set the Rows to 13 and the columns to 1. Now make sure your rectangle is selected and click Create. You should have ended up with 13 red and white stripes. I thought this was a useful and easy trick! 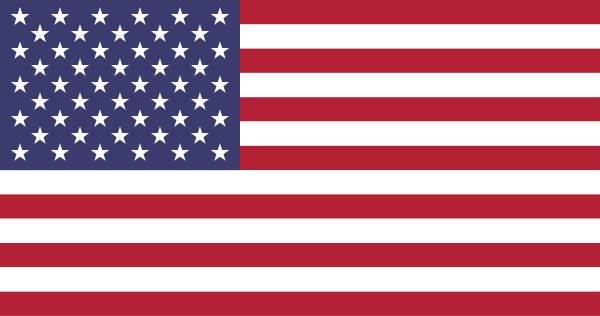 That top blue rectangle at the top left corner of the American flag is called a canton, which will have a Width of 7600 px and a Height of 5385 px. 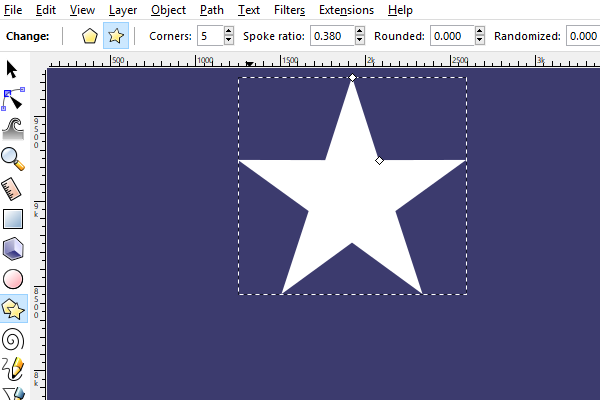 Use the Rectangle tool once more to draw the canton and set the Fill to 3c3b6eff, which is the official Old Glory Blue. Again, use Snapping or Align and Distribute to align it perfectly to the top left. If you’re feeling a tad lazy, just enter X: 0 px and Y: 4615 px. Let’s start with just getting the star shape right. 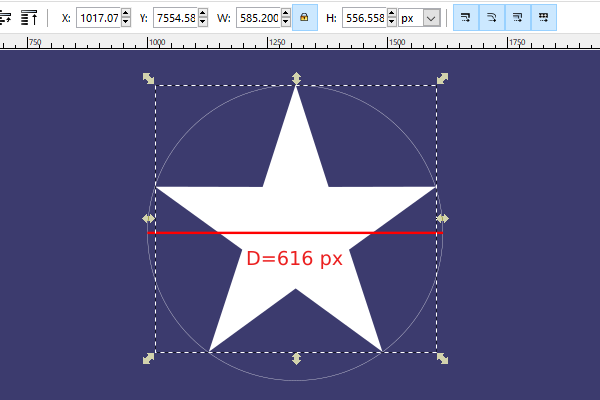 Use the Polygon tool, select the Star icon, set Corners to 5, and set the Spoke ratio to 0.380. Now somewhere on your canvas draw a star, but make sure you hold CTRL to snap the angle as shown below. This is where the official measurements start to get weird. It states that the stars all have a diameter of 0.0616 (which would be 616 px). I’m not sure if you know this, but measuring a pentagram by using diameter is very difficult (as far as I know), especially in Inkscape. I’ve tried to learn equations to do this, but they all came out too difficult for a fun tutorial like this. During my star drawing endeavors, I found out if the star’s width is 95% of the diameter of a circle, the star will fit into it almost perfectly (maybe even perfectly). So select your star, click on the Lock icon to keep your aspect ratio, and set the star’s width to 585.2 px. Wow, I hope this is correct. Keep it centered in a 616 px circle for now too. Things are about to get weird because of how difficult it is to align the midpoint of the stars to the officially specified positions. The United States of America says that the star midpoints are placed every 1/10th of the canton height among the Y axis and every 1/12th among the X axis. 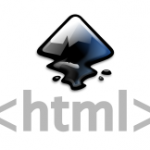 In pixel terms, this comes to 538 px tall and 633 px wide sections. 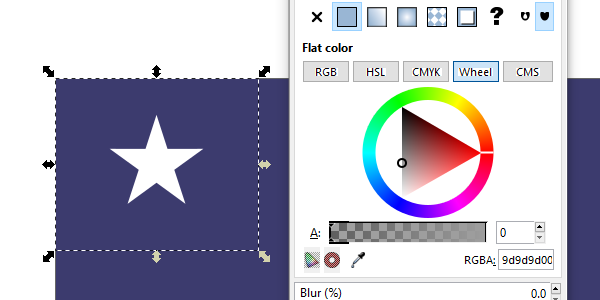 So here’s what I’m going to do: I’m going to double the size of that section and draw a 1076 px tall and 1266 px wide rectangle at the top left corner of the flag. Then I’m going to Group (CTRL+G) the star and the circle. 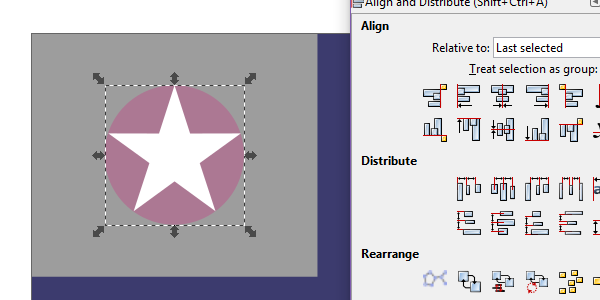 Finally, I’m going to use Align and Distribute to center the star/circle group to the rectangle. This should position the star at the most accurate midpoint. Now that the first star is in position, I ungrouped the star/circle and deleted the circle. Then I selected the rectangle and turned the Fill color Alpha all the way down so that the rectangle can’t be seen. Then Grouped the invisible rectangle and the star together. We’re going to use that transparent rectangle in the next steps. Since the star pattern alternates every row, we need to position another star. 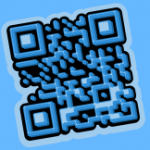 Duplicate (CTRL+D) the star and position it to X: 633 px and Y:8386 px. Now we’re prepared to create the rest of the stars. 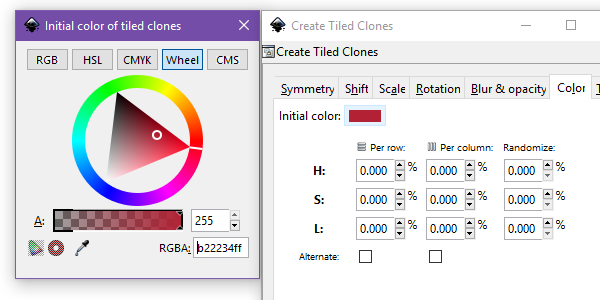 Select the first star and get our old friend Create Tiled Clones out. Run it on 5 rows and 6 columns to get the result I have below. 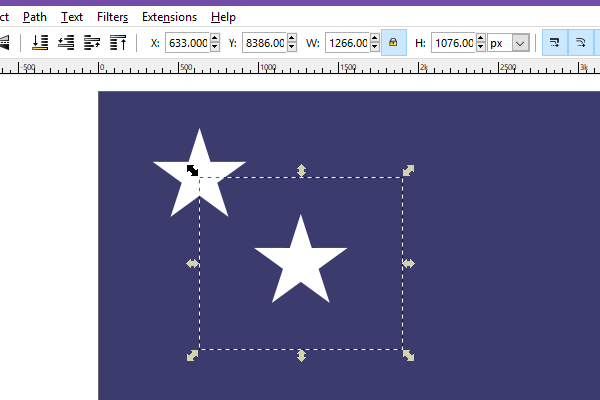 Do the same thing for the second star, but with 4 rows and 5 columns. What we should have now is a darn near perfect drawing of the American flag. You obviously don’t want to render a 19000 px flag, so make sure to change the export dimensions. There was a lot of crazy math and numbers involved, so feel free to check my work! Thanks for reading this tutorial. Nice tutorial Aaron. I wish I had seen it on the 4th of July. Would have been nice for my instagram. thanks for the effort Mr. Aaron! i’m pretty sure i’m following along with your instructions, but i can not seem to get the same distribution between the starts as you are? i am working in imperial measurements. 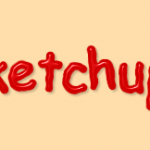 I’m absolutely new to Inkscape, and find your tutorial a little too abbreviated. I try to follow, but not knowing the commands, what I get is not what you get. Is there a tutorial for absolute beginners that goes through each tool and explains how to use it? Hi. 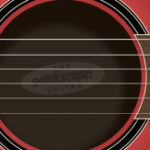 I’m really new to Inkscape and getting a lot from your tutorial but I have a question. I don’t understand how to produce the circle you describe in step 2. I recently found your lnkscape lessons. Appreciate the work that goes into your tutorials. Especially this one! Also the creating multiples trick. I have a feeling you will be saving me a lot of clicks, Thanks! Welcome back, I’m Happy to see new tutorial. Yay, you are back !